PreCure, also known as Pretty Cure, is a super popular Japanese anime series with magical girls who fight evil forces! 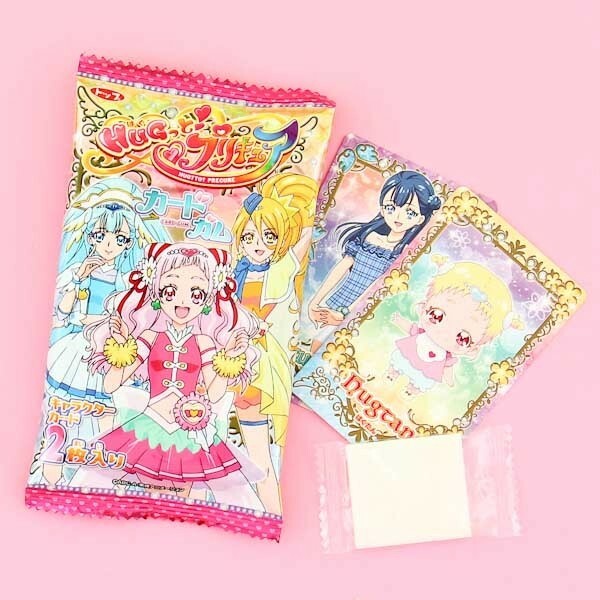 Now you have a chance to collect PreCure friends with this fun card collection! One package includes 1 bubble gum and 2 random collectibles cards. The chewing gum in the package has a sweet taste. Collect them all! Cards are featuring Cure Yell, Cure Ange & Cure Etoile - and many other characters!